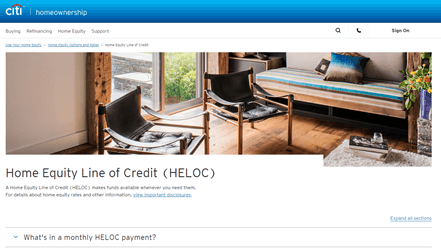 The rates CitiBank offers on both home equity loans and home equity lines of credit are competitive with the other lenders we reviewed. Their online application process is steam lined and easy to understand, ranking them among the best lenders we looked at. CitiBank has some of the best customer service in the industry. You can’t use a second home as collateral against your loan. CitiBank offers home equity loans and lines of credit at competitive rates with great customer service. However their loan to value ratio is stricter than other lenders, and the maximum loan is also a bit lower than other companies we looked at. CitiBank has competitive interest rates on both its home equity loans and home equity lines of credit. The rates are comparable to other lenders we looked into. You can get a good idea of their rates by going to their website, which shows sample rates. It is important to note, however, that these rates are a best-case average, so the rate that you get may be different depending on your situation and state. CitiBank’s fees are also about average with the industry, though you should make sure you understand the fee structure that is particular to the product that you are interested in, as the fees can change slightly across different types of loans and loan amounts. CitiBank has stricter loan-to-value requirements than many of the lenders that we looked into. 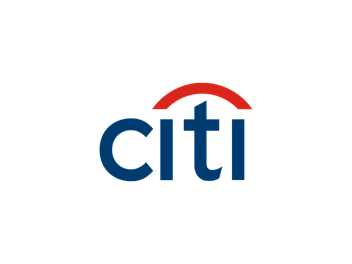 This can be good for individuals who have owned their home for a long time and paid off much of their mortgage, but for younger owners who might be looking to make expansions or improvements to their house, but have not had it very long, CitiBank may not be the best option. Additionally, if you were planning on using a second home or rental property to provide collateral for your loan, then you might have to look elsewhere, as CitiBank doesn’t allow these properties to be used as collateral in most instances. It can be difficult to get specific loan requirements from different lenders, and CitiBank is no different. The bank’s customer service representatives will be able to discuss your specific needs if you call, and are full of useful information. One thing that we can tell you is that the maximum loan that CitiBank offers is less than many of the other lenders that we investigated, and in most places you can’t use a second house or rental property as collateral, which means your interest rates may be higher with CitiBank than with another lender. Customer experience is a place where CitiBank really shines. 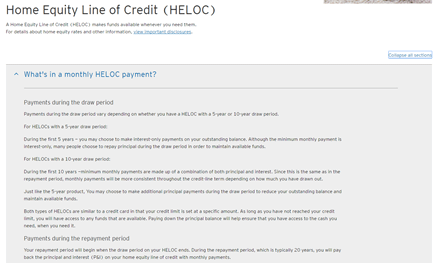 Their website is straightforward and easy to navigate, and the loan application process was also very manageable. When we called their customer service reps were friendly and offered useful information, including explanations of basic loan concepts as well as a series of questions to help the customer determine what kind of product is right for their specific situation. Moreover, there weren’t any phone menus to navigate and we were connected immediately to a live customer service representative – a rarity this day in age for any industry. This was even true when we tested their phone system at some of the busier times of the day and were still immediately connected to a live customer service representative. CitiBank is a good place to look for a home equity loan or line of credit if you aren’t planning on using a second property as collateral against the loan. They offer competitive rates and fees, and their customer service is among the best in the industry.